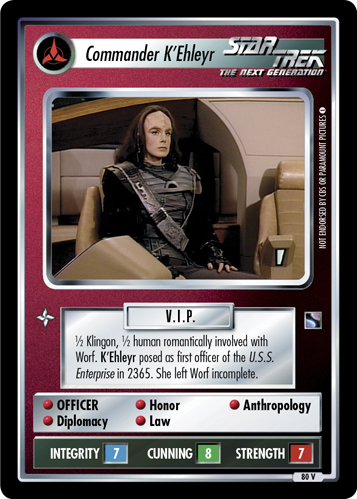 Appointed by K'mpec to serve as Arbiter of Succession. 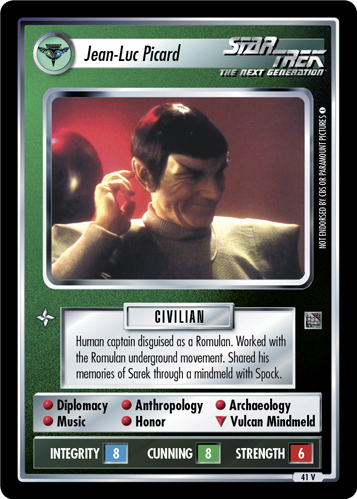 Asked to discover the Chancellor's poisoner and stave off a Klingon civil war. 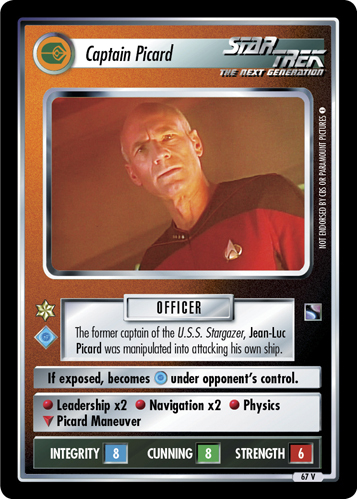 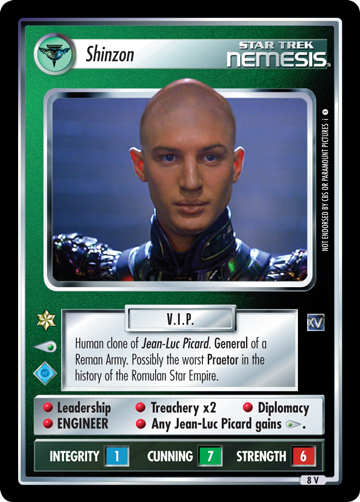 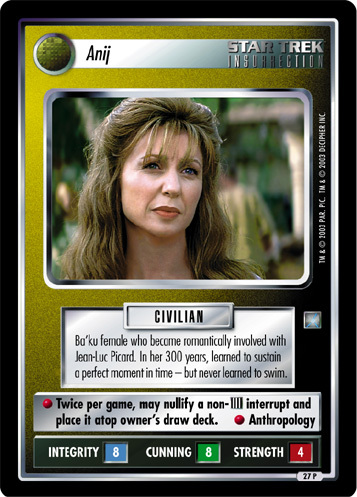 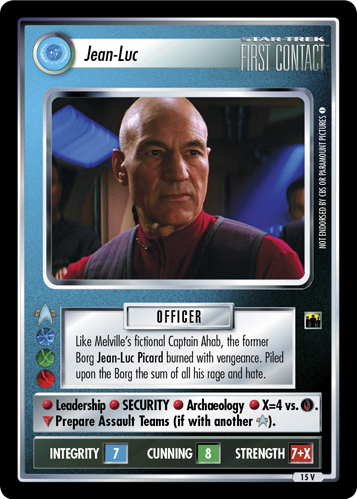 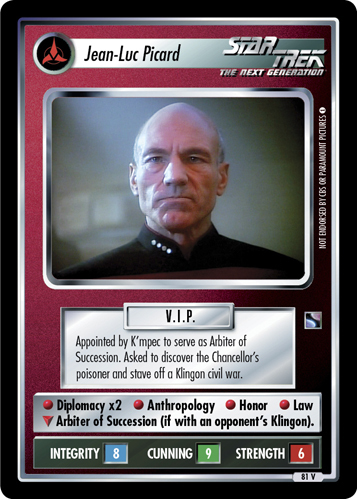 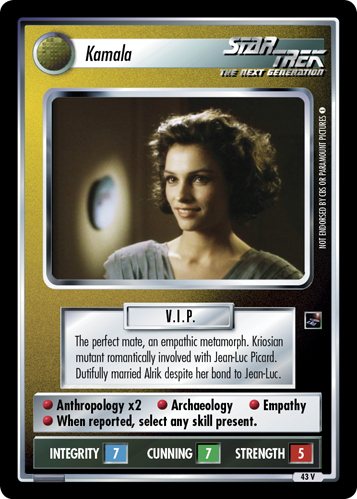 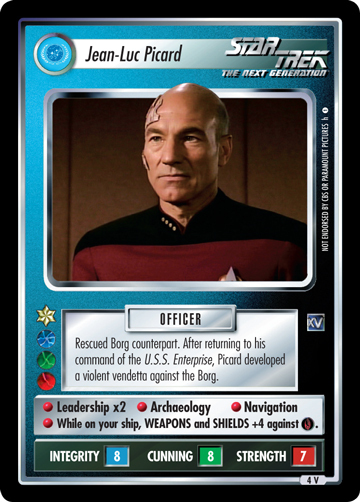 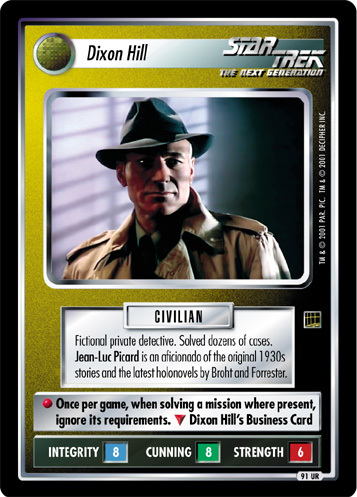 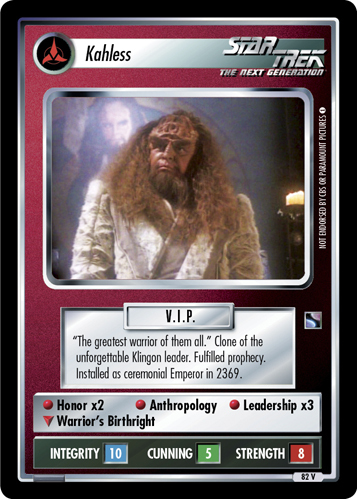 • Diplomacy x2 • Anthropology • Honor • Law ∇ Arbiter of Succession (if with an opponent's Klingon).